Hunting at night can be both exciting and challenging. 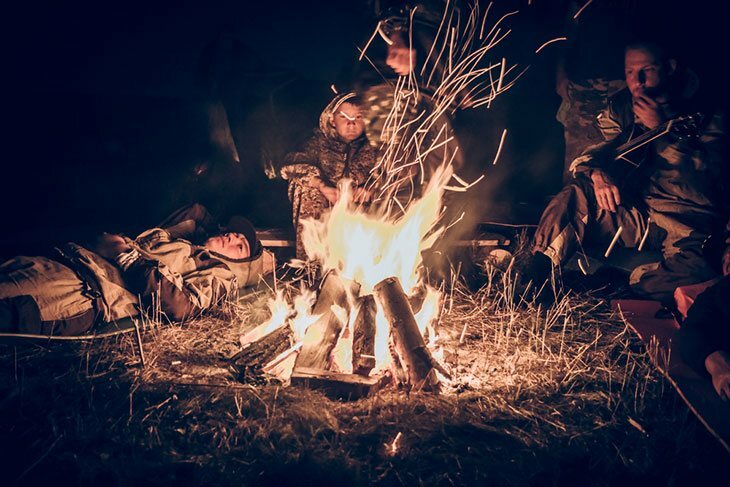 It is significantly harder than hunting at night but for a true hunter, night hunting is more fun and enjoyable. To a novice hunter, night hunting may sound quite difficult but by making the right preparations and following some expert advice, it can be quite easy. To get you started on the path to night hunting, here are some tips for night hunting from top experts and hunters from around the world. These tips will help you stay safe, spot the game and hunt successfully. When you are hunting at night, you have to rely on some lighting to spot the game effectively. Whether you are looking for coyotes or foxes in an open field or a wild boar in the field, the right lighting will help you spot the game at the crucial moment before you can target it. White light can easily scare off the game, so you are better off using a different shade. A soft, red light can help you spot the prey without scaring it off. However, regardless of what kind of lighting you use, it is important to remember that you must aim it above the animal’s head and not directly at it. A wide range of night vision products are available on the market these days. These range from night vision goggles, riflescopes and thermal imaging devices. The great thing about night vision products is that, as their name suggests, they are immensely beneficial in helping you see clearly in low-light conditions. 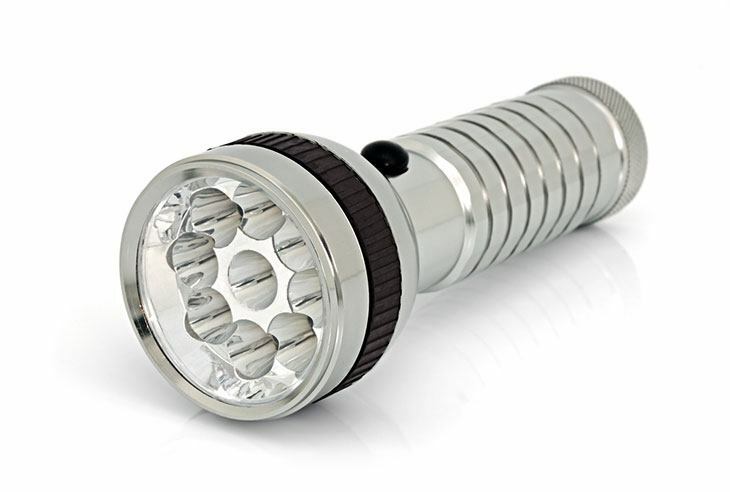 This is particularly useful when you are out hunting in the night. A slight problem with night vision products is that the quality models can be on the expensive side. However, if you are willing to invest in a night vision product, be sure to check the pros and cons of various options. 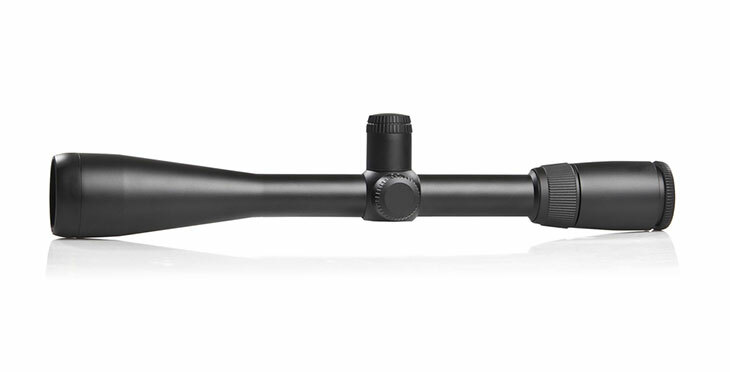 A riflescope, for instance, will usually be helpful when you as well as the prey are static. It requires at least some ambient light to make the prey visible to your eyes. A thermal scope, on the other hand, uses thermal heat mapping to make a prey visible to you, so it can be quite effective even on the move. 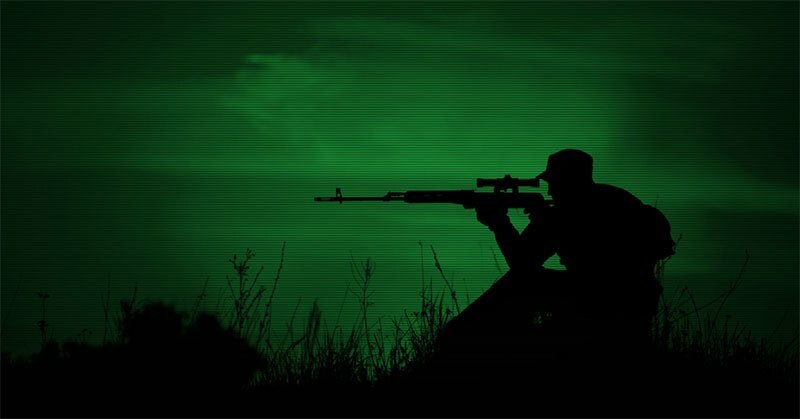 You may want to check various brands and models, and consider your budget, before you choose the right night vision solution. And a good night vision solution can be immensely helpful for your night hunting excursions. Towards the evening, animals start moving towards their homes, usually traveling back in groups. So if you are hunting early in the night, it is a great idea to find a location where you can get an open view of the terrain around you. Since you will be hunting in low light conditions, the best you can do is to get as broad and clear a view as possible from your vantage point. Ideally, you should find a spot that is somewhat elevated and offers a clear view of the field right in front of you. To conceal yourself effectively from the game animals, a tree cover on your back can be very effective as it can shield any silhouettes that may alarm the animals. If you are hunting as a party, it is important to find a location where all the members of the party can hide close to each other as you wouldn’t be able to use hand signals at night and would have to rely on verbal communications. Hunting calls have long been a very effective way of attracting prey. Hunters have used hunting calls for thousands of years, mimicking the sounds of various animals to draw their attention. During night hunting, what with limited visibility and concealed prey, the right hunting call can be immensely useful in spotting game. Most professional hunters like to rely on mouth calls although there are a wide range of digital or electronic calls available these days. A mouth call, if done right, is naturally more preferable. You may want to practice it well and try it during the day before you give it a shot during night hunting. The right call will draw your prey towards your location and once the prey is in range of your visibility, you can then shoot it. If you go night hunting for the first time, you may start feeling after some time that it’s all futile. But believe it or not, you just have to persist long enough and your hunt will be rewarded sufficiently. Night hunting requires a hunter to be patient and not give up too easily. If you are trying to attract a prey with mouth calls, keep uttering them on regular intervals. It is a part of the fun and excitement of night hunting that you have to wait, play with the senses of a distant prey and somehow trick it into drawing closer to your location.